Do you want to feel confident when you smile? With quality cosmetic dentistry, we can correct common esthetic issues, such as teeth stains and misalignment. Don’t let tooth loss impact your quality of life. With innovative dental implants, we can restore missing teeth for a complete and beautiful smile. Interested in obtaining a perfect smile free of unsightly misalignment? Then consider practically invisible orthodontics with Invisalign clear braces. We offer the latest advances in children’s dentistry, so your little one can enjoy a healthy, happy smile for years to come. I loved the fact that it is a beautiful kid friendly environment. It made it feel like home. My visit was great. The Dr. was very professional and educated me. My visit was truly amazing from the moment I walked in until the time I left. The atmosphere was so warm and inviting and so was the staff. 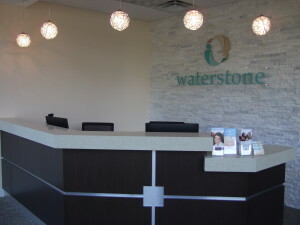 Welcome to Waterstone Family Dentistry! For more than 15 years, Dr. Collier has been creating lasting relationships with her patients by focusing on patient comfort combined with a comprehensive selection of services in our Fuquay Varina dentist office. 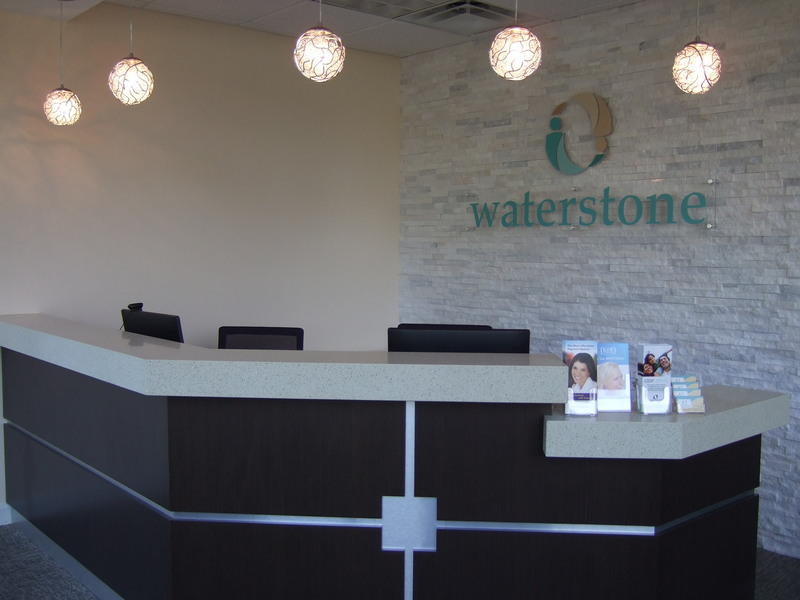 At Waterstone Family Dentistry we believe in offering patients an inviting atmosphere, convenient care, and education on maintaining healthy smiles. Our goal is to ensure you and your loved ones experience relaxing visits while truly feeling like you receive the one-on-one attention you deserve. Through excellent care, advanced technology, and a broad spectrum of modern services, we endeavor to safeguard your dental health, and achieve a lasting, dazzling smile. Convenience is of the utmost importance to Dr. Collier, who offers customized care for patients of all ages, including children. Your Fuquay Varina dentist strives to address all of your every dental care needs under one roof. Bringing with her an advanced background in dental implants, Dr. Collier offers preventive, restorative, cosmetic, children’s, and emergency dentistry. When a mishap occurs, call our office for a same-day appointment. In addition, known for her gentle touch, Dr. Collier also offers sedation dentistry options upon request for patients who may feel anxious or nervous. At Waterstone Family Dentistry, we can improve the appearance and brilliance of your smile with teeth whitening, porcelain veneers, and Invisalign aligner trays. To improve a patient’s dental function and quality of life, Dr. Collier will discuss restorative services with you, such as bridges, dentures, and dental implants to revitalize a smile with missing or damaged teeth. If you suffer from troublesome concerns like exhaustion or jaw pain, we will look for symptoms of sleep apnea treatment or TMJ/bruxism. From simple treatments that make a big impact like seamless composite fillings to thorough periodontal care, we go above and beyond to improve your oral health and help you obtain a smile that makes you feel proud. We take steps to make sure your trip to our practice is a relaxing and convenient one. Before you even make your first visit, you can save time by printing and filling out our new patient forms located on our website. If you have questions, please feel free to call and speak with a member of our team. Expect to feel welcome and at home in our office, as well. Whether you would like a magazine, Sudoku, or word find puzzle to occupy your thoughts, or a children’s book for your little one, let us know. We are excited to meet you and your family members, and look forward to offering accommodations that put a smile on your face. Ready to enjoy affordable dentistry for the entire family? Dr. Michele Collier and our team of talented dental professionals offer quality treatment employing the latest advances in dental technology. For a comprehensive and comfortable approach to dentistry, schedule an appointment today. Call our Fuquay Varina NC office at (919) 557-5250. We proudly serve residents in Fuquay Varina, Holly Springs, Angier, Willow Springs, Raleigh, and surrounding communities.